​This is a DBLTAP exclusive interview with Adrian "Adrian" Ma, the support for Team Dignitas. 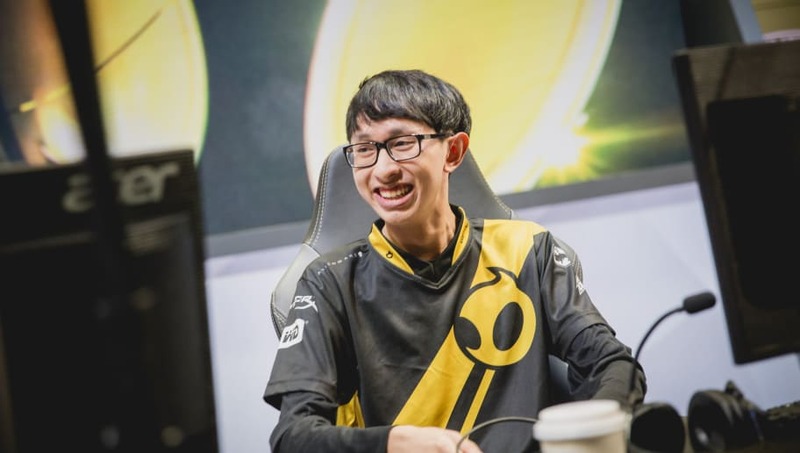 He had just finished playing in the 2017 NA LCS Summer Split. DBLTAP - Adrian, first off, the third place match didn't go as planned, but you guys did improve overall when compared to the Spring Split. As one of the newest members on the team, I just want to get your thoughts on how you guys improved overall in the split and what steps you're going to take moving forward to become possibly top three, top two in the NA LCS. We are here. We are ready. Adrian "Adrian" Ma - I guess we have to practice really hard because we still have one more chance at Gauntlet. We beat C9 before, so we just have to keep practicing harder and get better to beat CLG, and I think we have a really good chance of going to Worlds if we keep trying harder, if people don't lose motivation and if we keep playing really good. DT - Now I asked Cop and Darshan this same question, but before your match, they announced Bjergsen was the MVP for this Summer Split. Did you agree with that or do you think somebody else maybe deserved it? Adrian - The funny thing is I'm the only pro player that voted for Jensen over Bjergsen, so I thought Jensen was the better player during the regular split; he stood out way more. Bjergsen's always good, so I was really impressed with Jensen this year, but we knocked him out so I guess I'm better than him, I'm better than Jensen. DT - Now, let's talk a little bit about Ssumday. He was a major addition to the team when he joined and such a perennial talent in the LCK. What's it like playing with him, because you've played with people like Huni and Impact? Adrian - Yeah, I think Ssumday is pretty comparable to Huni and Impact. They're solid players, they're really good at laning, and they're really experienced. They always know what to do at the right time and they're willing to sacrifice for their lane, especially Ssumday. Ssumday is really good at playing tanks and carries, so he does whatever the team wants and it's not necessarily the leader role because he is a shy and reserved guy. He wants to do his own thing and sometimes we don't hear him say it. He's really good, but he's a quiet guy. Thank you to Adrian for taking time to participate in this interview. You can follow him on Twitter here. This interview has been edited for clarity.